We are thrilled to announce that our app has passed Apple’s approval process and is now available for free download from the Apple App Store. Functionality of this first version is limited but it works with the SailBot Module and will get races started and we can get on-water feedback from users without using a third party installation process. Apple’s initial approval process for apps is relatively slow and intensive, but updates to apps move through within a couple of days. 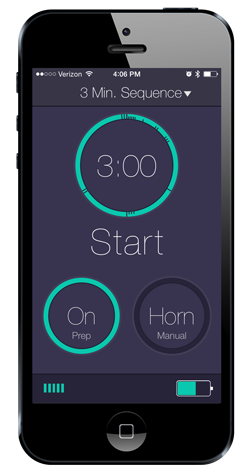 We made the calculated decision to get a bare-bones app approved now, while continuing development and testing. We will release updates that have more complete functionality and features as we get them added to the app. Thank you to all of our users who worked with us through the TestFlight installation process! Your input and experiences proved invaluable.